I received my Winsor saw. First let me say it is beautiful. The padauk handle and brass back fit are particularly nice. Most importantly - it performs. I own a number of high end dovetail saws from well known producers. The precision cut/set teeth puts your saw right up there with the best of them. The saw produces an aggressive cut, but maintains the accuracy necessary for detail work. This helps me, in my woodwork, to achieve the sweet spot between speed and accuracy. I just might have to get a second saw because I like it so much (especially at this price)! I received the saw today. Looks great! Nice heat bluing on the blade. I have done some of that treatment on screws. Can't wait to try it out. Milled brass back bar is impressive! I been a cabinet maker for thirty years. 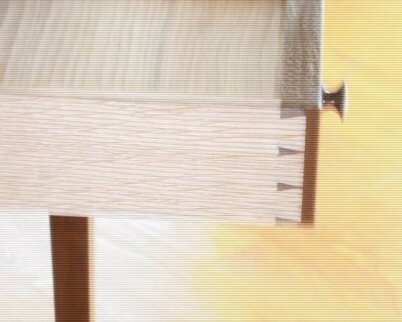 I tested this dovetail saw found it smooth cutting, true and a very fine tool. I love the saw! Lots of my woodworking friends say it’s a great little saw. 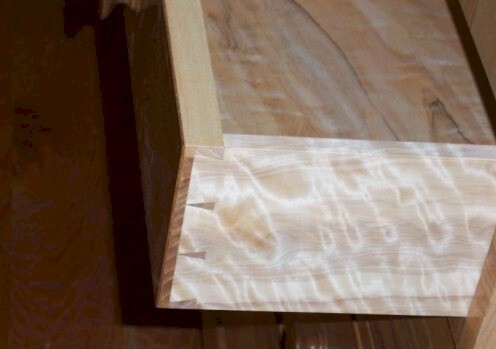 It’s the best value out there for a high-end dovetail saw. I gave Winsor Saw feedback on some small improvements which they said they will do. Then this will be a world class high-end saw. Mr. Lambdin, thanks for your suggestions and your glowing review. Indeed I’m implementing several of your suggestions and working on a blade guard and better packaging material. I’ve adjusted the set and working on a better solution for the split-nuts. Since you bought my saw I’ve instituted a FREE SHARPENING plan so you never need to sharpen your own saw. I received the saw today and although I have not been able to cut any joinery with it I am very impressed. I did take a second to make a few comparison cuts along side my Lie-Nielsen saw and could tell a difference right away. The WinsorSaw starts easier, cuts straighter and has a thinner kerf. There was such a difference that I opened a second Lie-Nielsen (new unused saw) and had the same result! II also have a Lie-Nielsen 14 inch rip Tenon saw and am wondering if you make a Tenon saw or have any plans to do so in the future. Looking forward to starting a project that can make use of my new favorite saw.